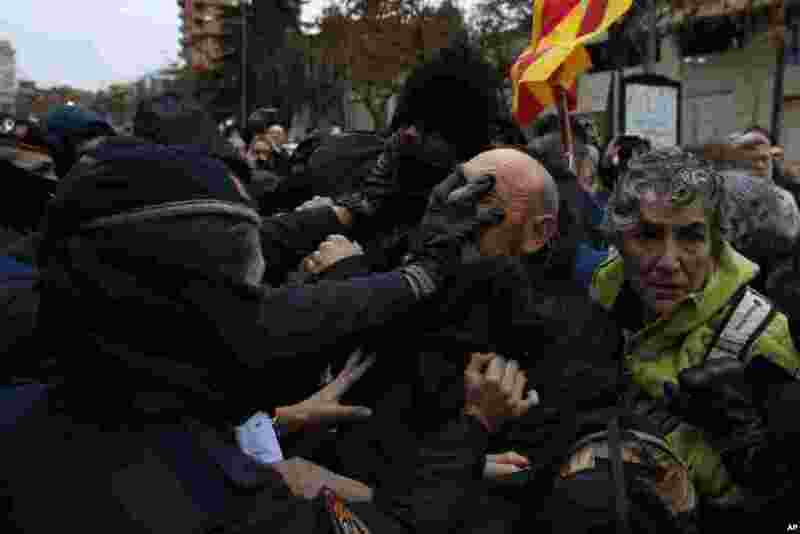 5 Catalan Mossos d'Esquadra officers scuffle with demonstrators as they cordon off the area around Lleida museum in the west of Catalonia, Spain. Police in Spain's northeastern Catalan city of Lleida have clashed with people protesting a judicial ruling ordering the city's museum to return 44 pieces of religious art to the neighboring regional government of Aragon. 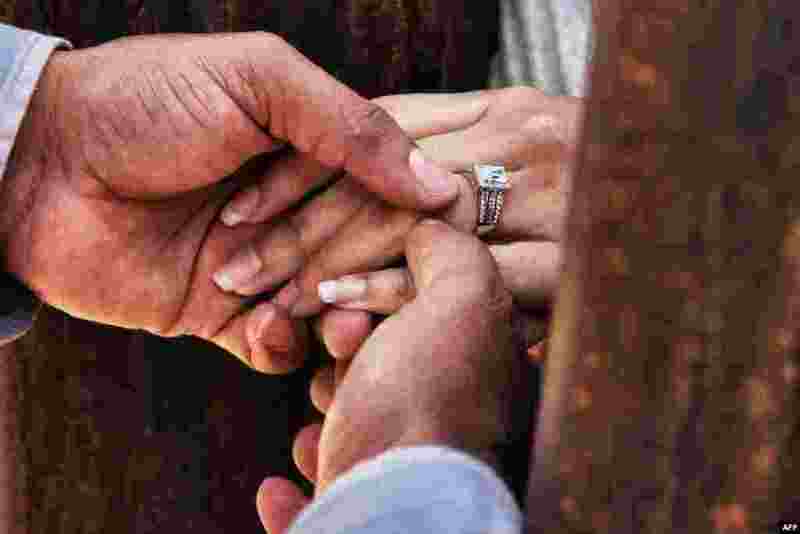 6 Rogelio puts a wedding ring on Miriam's finger as they get married through the border wall between Mexico and the United States, during the "Keep our dream alive" event, in Ciudad Juarez, Chihuahua state, Mexico, Dec. 10, 2017. 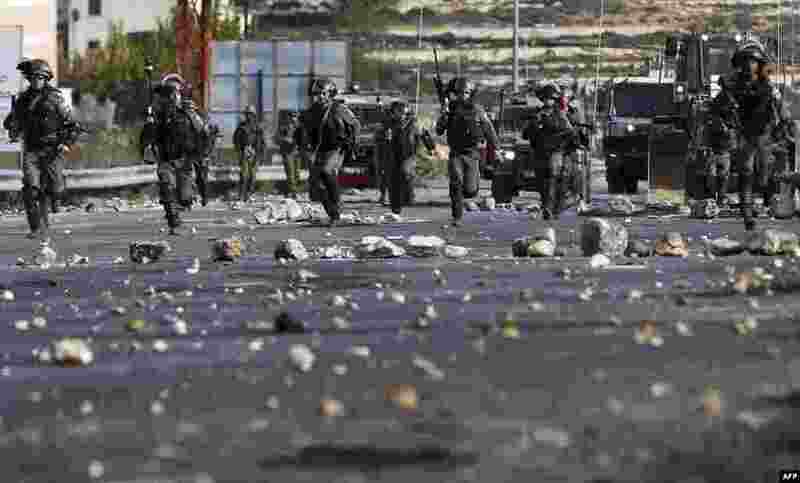 7 Israeli security forces clash with Palestinian protesters in the West Bank city of Ramallah as demonstrations continue to flare in the Middle East and elsewhere over U.S. President Donald Trump's declaration of Jerusalem as Israel's capital. 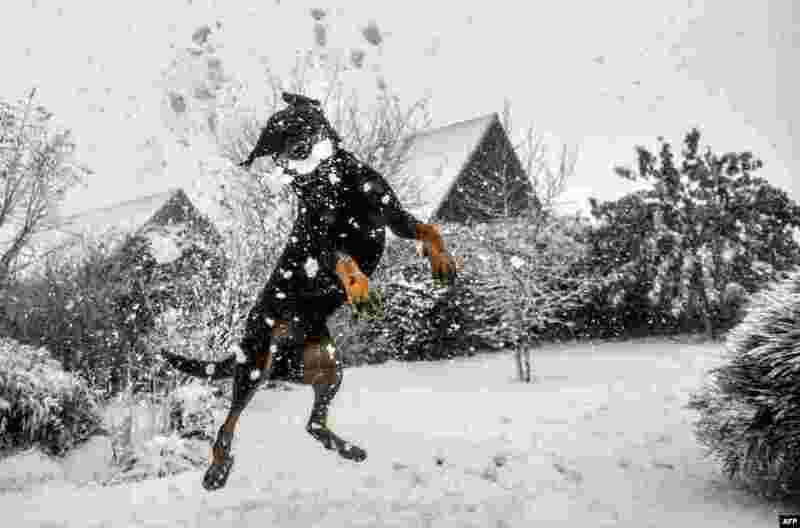 8 A dog jumps to catch a snowball in Godewaersvelde, France.